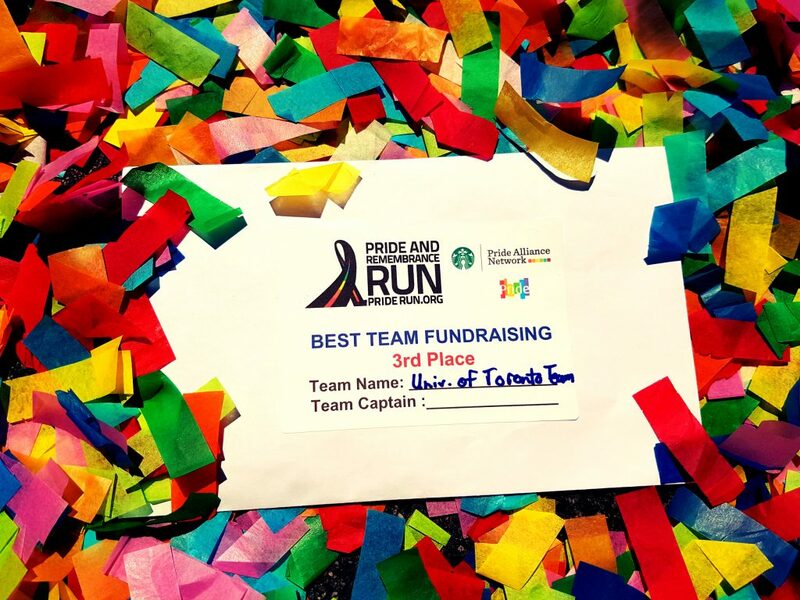 Congratulations to the U of T Pride & Remembrance Run Team! 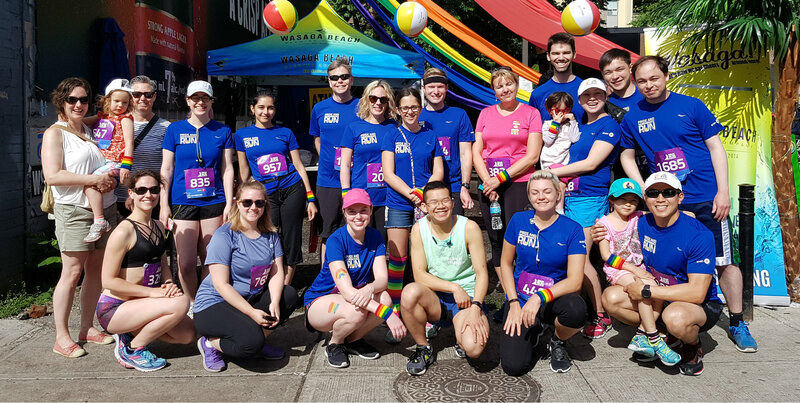 Congratulations to the U of T Pride & Remembrance Run Team, who took to the streets on the morning of Saturday June 24 for the 5km run (or 3km walk). The team of 42 runners was lucky to have gorgeous, sunny and temperate weather and had a great time participating in the festive atmosphere. The U of T Team had an ambitious goal of raising $10,000 and thanks to all of the support and fundraising efforts, they smashed that goal, successfully raising $11,300! In total, the Run raised $187,640, and U of T played a big role in helping to reach that number! After the Run, the team was honoured to be named as this year’s 3rd place top fundraising team! These funds will go directly to Fife House, the Canadian Centre for Gender and Sexual Diversity Gay-Straight Alliance Forums across Ontario, Casey House Day Health Program, and the Pride and Remembrance Foundation. An extra special thank you to Shawn Mitchell, our extraordinary team captain, who got all of the team members organized and supported them throughout their fundraising efforts, and who was also one of the team’s top fundraisers! Congratulations to our top fundraiser, Scott Anderson, who raised $2275 for the team. Congratulations to the team! Thanks to everyone who helped make the Run a wonderful experience and to the 219 people who helped us raise the important and needed funds for local LGBTQ+ communities.